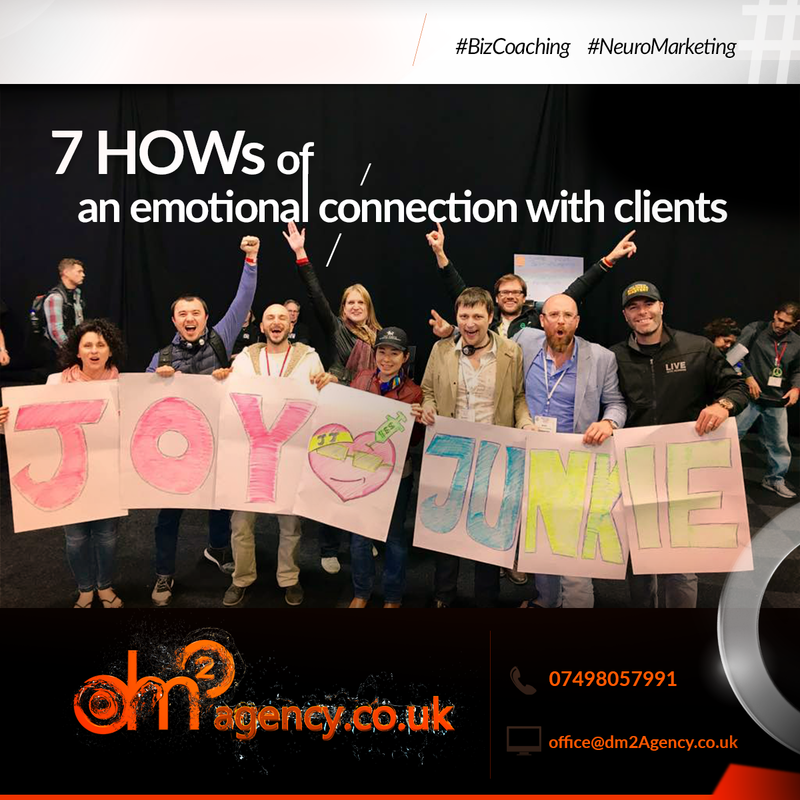 Personalisation:Using individualised attention to drive an emotional connection. Integrity:Being trustworthy and engendering trust. Expectations:Managing, meeting and exceeding customer expectations. Resolution:Turning a poor experience into a great one. Time and Effort:Minimising customer effort and creating frictionless processes. Empathy:Achieving an understanding of the customer’s circumstances to drive deep rapport. Inside:Ensure employee satisfaction to keep customers happy and… always work to improve the customer experience. Now it is time for you to review your activities and…’nomen omen’… experiences with your clients! “Most fail because they major in minor things.” by T. Robbins… and specialists of #BizCoaching #NeuroMarketing from DM2Agency. Want to be a successful like CEO?